It is more likely to have some upside-down videos which are taken or recorded by mobile phones, cameras or other portable devices. And maybe you can play these videos normally on portable devices, but you might find it upside down after you transfer or convert them to devices like Mac or PC. So this article shares 3 very useful and easy ways to help you rotate or flip the upside-down videos, including rotating with 90 degree, flipping vertically or horizontally. Any Video Converter Free is designed with no limitations and zero costs. It is not only the powerful converter, but also an useful video editor which allows you rotate video, trim video clips, crop video, join videos into one. 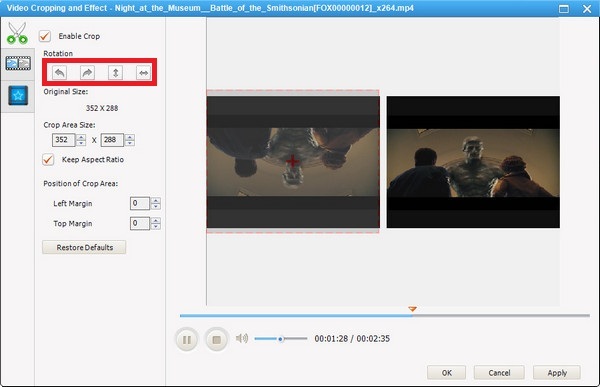 In addition, add subtitles, audio tracks, Watermark, special effects are fully supported. It also supports to edit video codec, dimension, bit rate, frame rate, sample rate, channel, video/audio quality and more. Step 1: Add Source Video. Launch Any Video Converter Free on PC and add or drag the source video you want to rotate. Then click Add Effects. Step 2: Set Rotating Parameters. There are 4 choices for Rotation: Rotate Left 90 degree, Rotate Right 90 degree, Flip Vertical, and Flip Horizontal. You can also choose the area size you want to rotate and change the position of crop area. Other Settings: Click Video Effect button on the top left panel, you can adjust the brightness, contrast, saturation of the video. And other special effects are also allowed. If you do not want a special effect, you just need to click No Effect. And you can add video Watermark. Step 3: Apply the Settings. After finishing these settings, you can click Apply button to save your settings, then click OK to return to the main interface of the program. 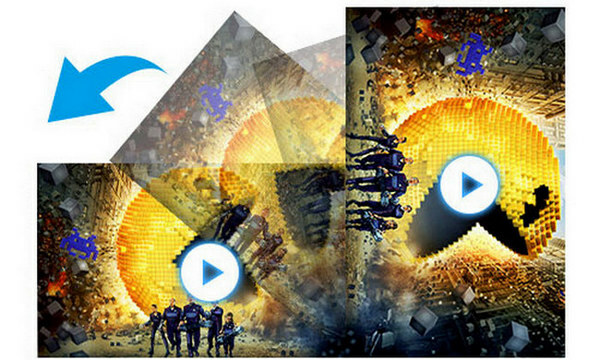 Now, click Convert button to save your rotated video. After finish conversion, you can right click the converted video and choose Open Destination File Location to find your rotated video. VLC Media Player is a popular application we often use to play video in our computer. 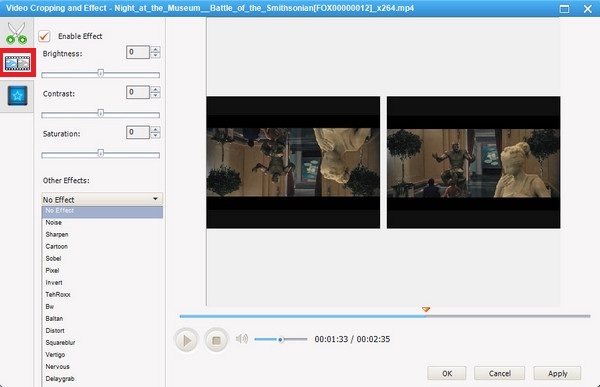 But at the same time, it is also an useful video editor to help us rotate videos in a simple way. Step 1. Launch VLC Media Player on PC and drag the source video you want to rotate, or right click the source video and click Open with, then choose VLC Media Player to play it. Step 2. 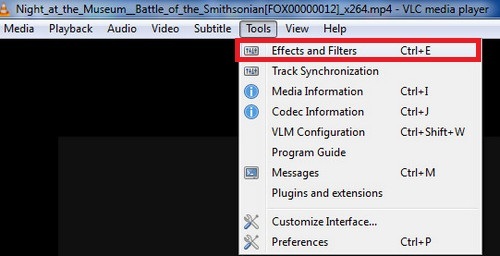 On the menu bar at the top of the screen, Select Tools on the menu bar at the top of the interface, then click Effects and Filters from the drop-down list. Step 3. 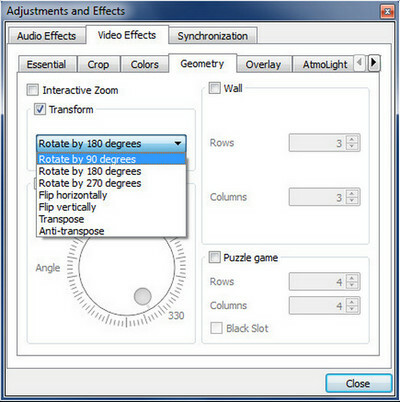 Click Video Effect and the choose Geometry, tick Transform and choose the specific degree you want on the drop-down list. Finally, click Close to apply your settings. Windows Movie Maker is video editing software by Microsoft. It is a part of Windows Essentials software suite and offers the ability to create and edit videos as well as to publish them on OneDrive, Facebook, Vimeo, YouTube, and Flickr. Step 1: Launch Windows Movie Maker and then add source video by clicking Add videos and photos or drag the video to program directly. After loading the source video, click Editing within Home tab. Step 2: Click Rotate left or Rotate right depending on your source video. 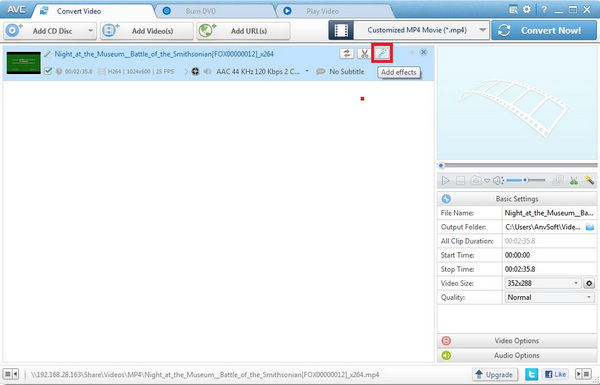 You can click File icon and then click Save movie, choose For computer to save your video.